Even after recent education accountability systems came into place and, in some ways, pushed the arts to the background, the memory of my students’ enthusiasm stayed with me. I never forgot the feeling of watching kids loving to learn, so despite some structural obstacles the arts have always remained a part of my classroom. As rigor became a key factor in the Common Core subjects, I also wanted to learn how to increase academic rigor in the arts and push lessons past simply drawing pictures. 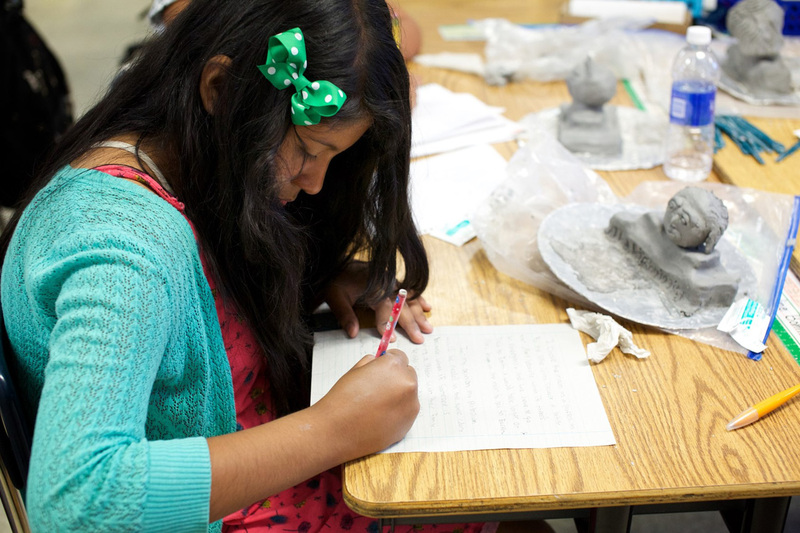 When the principal of my school, Leo Politi Elementary in L.A.’s Pico Union neighborhood, mentioned an opportunity to be part of a three-year collaborative program called art@thecore with the J. Paul Getty Museum, I was excited. 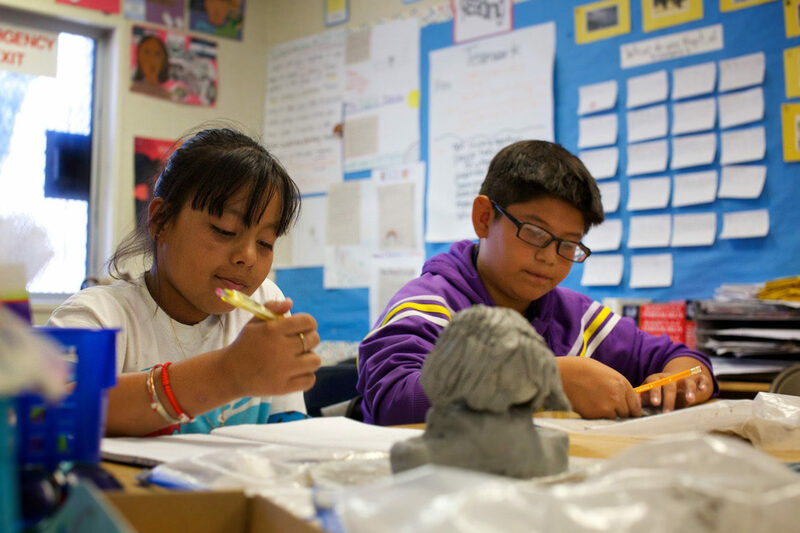 Funded by a grant from the Los Angeles Fund for Public Education, the partnership involved integrating artworks from the Museum’s collection into the school’s general curriculum. Getty educators and teaching artists worked with us to create lessons that guided students to create art using different mediums, look closely and draw inferences, define main ideas, determine chronology, compare and contrast events, and use visual evidence to support their ideas. The impact of this collaboration will be discussed at an upcoming event at the Getty Center, Arts Integration+California: A Convening. The art@thecore program added to my knowledge base and made me even more excited about integrating the arts into my curriculum. After three years, I can also say that I learned even more than I anticipated. First, I learned that art has its own language, which opens up a new world to students. 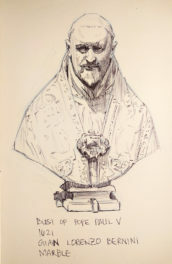 When students learn about the elements of art [PDF] and principles of design [PDF], talking and thinking about the visual arts becomes more than saying, “I like the way it looks.” Using the vocabulary of art allows young students to talk about art with evidence, and when students discuss and understand the language of art, they can then bring it into their own creations. Old masterpieces now become their inspiration. An important part of the English Language Arts Common Core standards is reading closely for evidence. I learned that close reading is not limited to text. You can closely read a visual artwork, and these skills also transfer to reading words. 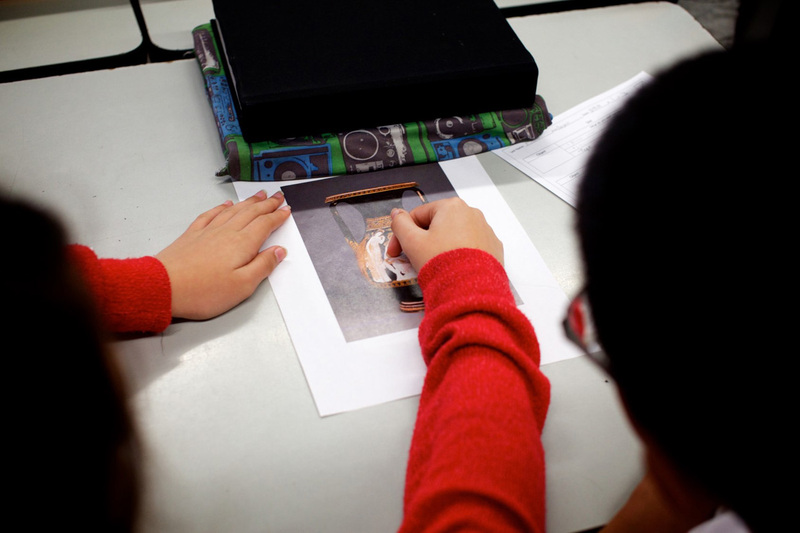 In art@thecore, each unit began with a mentor art and using protocols such as See, Wonder, Think. The resulting discussions were detailed and elaborate. When I later engaged in close reading of poems and short passages with my fifth-grade class, in-depth quality of the discussion continued. 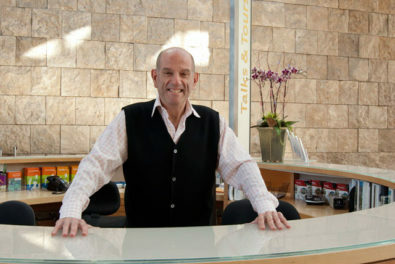 Living in Los Angeles, we are blessed with access to world-class museums such as the Getty. In the past, when I took my students on field trips to local museums, I didn’t really understand how to use a museum’s resources effectively or make the connection between art and learning real. I now know how to take advantage of the plethora of resources available to help teachers benefit from these collections. At the Getty Museum, not only can students view masterpieces firsthand, but teachers can access a free website with lessons already in place to make the museum visit more rewarding. 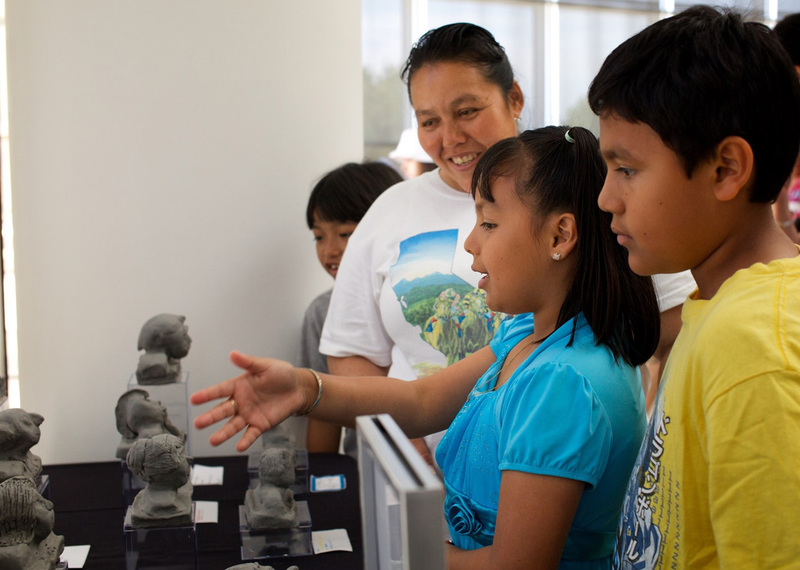 Based on these lessons, students begin to think of themselves as museum experts and go on to share their expertise with their families. 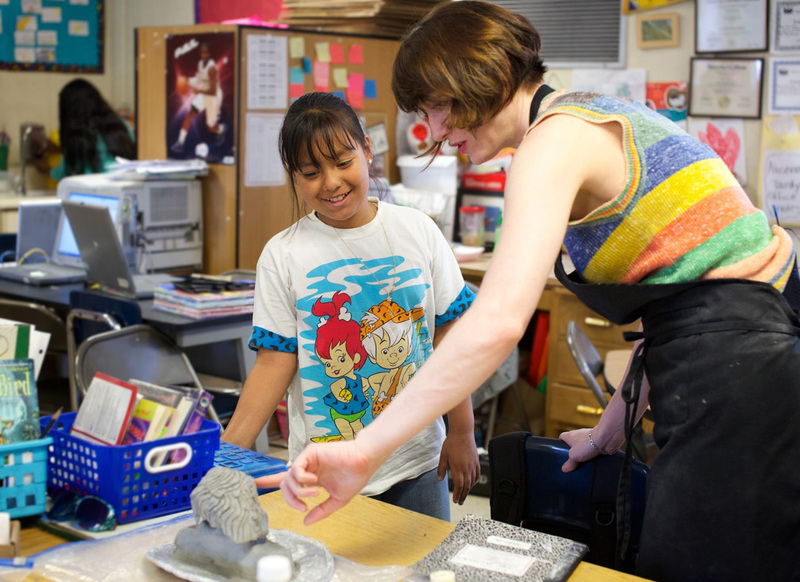 When the art@thecore program began, we fifth-grade teachers already had a system in place for working collaboratively, and we knew that taking on a three-year project would require teamwork. Our initial meetings involved over ten people with different ideas and suggestions. Even with the large number of people, it still worked. The diversity of ideas and participants made the process lively and gave everyone a feeling of ownership over the activities. It is hard to believe that this three-year project has ended, and our school will no longer have our team of artists and Getty educators to work with. It was such a special and unique experience. Yet it does not mean that our relationship with the Museum will end. 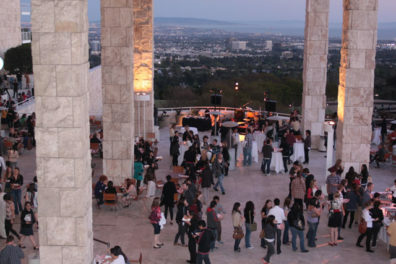 We teachers already have plans to take our future students to the Getty Center and continue with the lessons we created. Teaching academic art is a natural part of my pedagogy, and it is an integral part of a student’s education. I now have more concrete ways to integrate art into my classroom, and I am excited to inspire a whole new set of children.